There are many reasons why blog post images are so important for high conversion rates. It’s like serving water with a tough steak: the one can hardly have all of it at once without being able to wash it down with a light drink. Even if the post is written perfectly, containing the most relevant data and providing readers with effective solutions to all their problems, it is extremely hard to read the huge block of text without a single visual. This post is based on our personal experience of working with images without professional designers. This experiment was both interesting and useful. First of all, it provided all of Netpeak content marketers with helpful and understandable information on how they can work with imagery using different services that are as simple as possible. Our wanderings in the world of free and low-cost image sources have come to an end with choosing Canva—a start-to-finish design program ideal for non-designers. Why Do You Need To Customize Images For Your Blog Posts? Involvement/ Engagement of the audience. It is important to keep readers involved in the text and make it easier for them to understand what you are trying to say. Visuals are processed 60 000 times faster than text and they can present information in an entertaining manner. As a result, articles that include images are 94% more reviewed than the ones that don’t. This is just an average, so you can receive much better improvement of your organic traffic. It’s mutually beneficial. Images makes profit for both content creator and reader: you receive more reviews, likes and comments, and your audience gets acquainted with more digestible articles that are easier to read and understand. The same refers to your posts in social media: the stats perfectly demonstrate how images can improve your conversion with 53% more likes. This is why we use images in every article and follow each post on social media platforms with an informative and bright picture. The main problem here is that the images are costly. While some businesses have the ability to hire a professional graphic designer, not everyone can afford such expenses. In case you are a copywriter that creates unique, interesting and catchy articles, or you are providing your followers with the newest updates through social media platforms, it is essential for you to know how to make custom images for your articles receive maximum of the deserved attention. If you need unique high-quality images and don’t have budget on professional designer, you have no other variant but to create images yourself. This sounds scary for the most content marketers, copywriters and business owners. But don’t be afraid, as we will talk about everything you need to know about custom images without spending your time and money. First of all, it is almost impossible to resist a free price tag of this service. 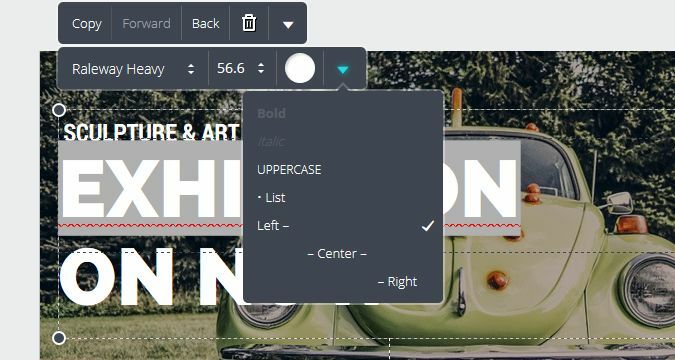 Canva provides its users with the ability to fake advanced designer skills and create images for blog post headlines, social media posts and newsletter cards, even if their knowledge is limited to super basics. 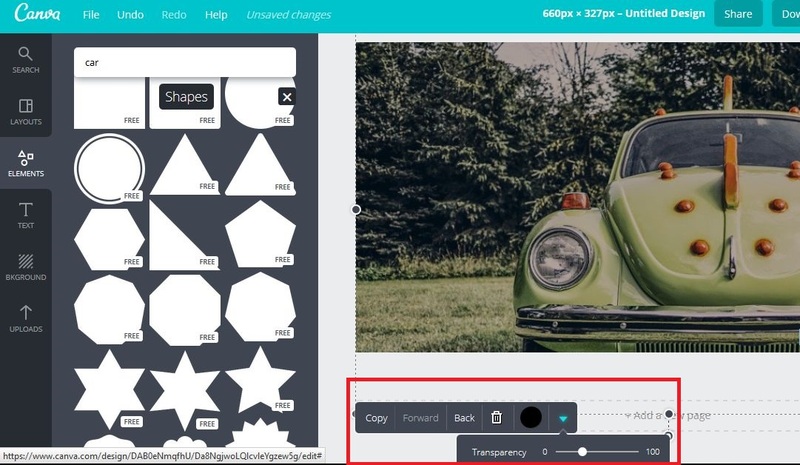 Just after you register on the site, you will see a 23-second tutorial that will drive you through the basics of creating custom imagery with the help of this service, including dragging and dropping images, adding text in different formats, using multiple visual elements and downloading the finished image. 1. First of all, you have to choose the dimensions of your future image. You can choose from the list of proposed design variants, or you can enter your own dimensions, pressing on “Use custom dimensions” button in the top right corner of the page. 2. After choosing the design that is just for you, it’s time to choose the image for your background, or to download your own: 3. When you have to make a newsletter card or a social media post, a Facebook cover or a Pinterest graphic, you need to make your background image a little bit darker so that the text you put on it will stand out and look as bright as possible. To reach this, go to “Elements” section, press “Shapes” and choose the very first shape option. 4. Then, stretch this shape upon the image and choose frequency percentage. We usually put it around 30-40% depending on the average brightness of the original background image. 5. Now, as you can see, the picture is ready for adding some text on it! Go to “Text” section and choose one of proposed designs to make your text attractive, unusual and perfectly fitting your image. You can choose different text styles, sizes and colors. You can also make the text left-aligned, right-aligned or to align it on the center. 6. 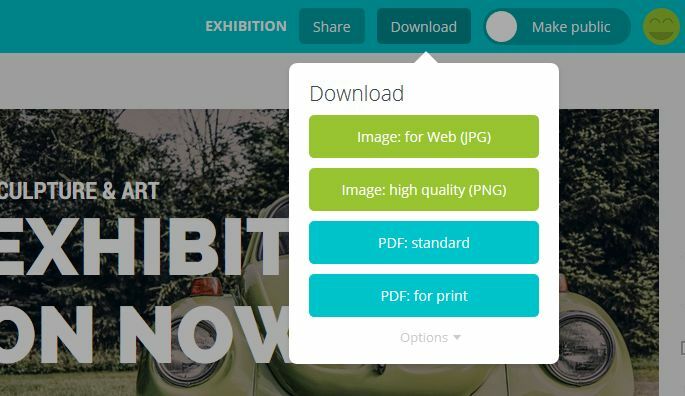 When your image is ready, you can press the “Download” button and choose file format that is the most suitable for you. That’s it! Now you have a brand new, interesting and unique image that was designed by yourself without using any professional skills or knowledge! The main thought: use images as the key element of all your blog posts. They help your readers stay focused on the article and provide them with required information in alternative way. This makes your target audience more educated, well-informed, relaxed and satisfied with the way you distribute your thoughts. People will therefore spend more time on your website and come back again for another piece of content. This post has been written to show you how you can work with imagery for your blog, newsletter or social media account without hiring a professional designer. The aforementioned technique will help save you a lot of time and money. Follow our recommendations to make your posts visually appealing and your newsletter unskippable. Making your own imagery will help your content go viral and seriously improve your traffic rates. In case you have successfully used some other services to make your own images, tell us about them in the comments! Good luck!